We are going to use the vibrating cantilever as an example of the use of log graphs to determine an unknown equation for an experimental arrangement. The aim of this experiment is to investigate the factors that affect the period of oscillation of a cantilever and also to suggest equations by which they might be related. 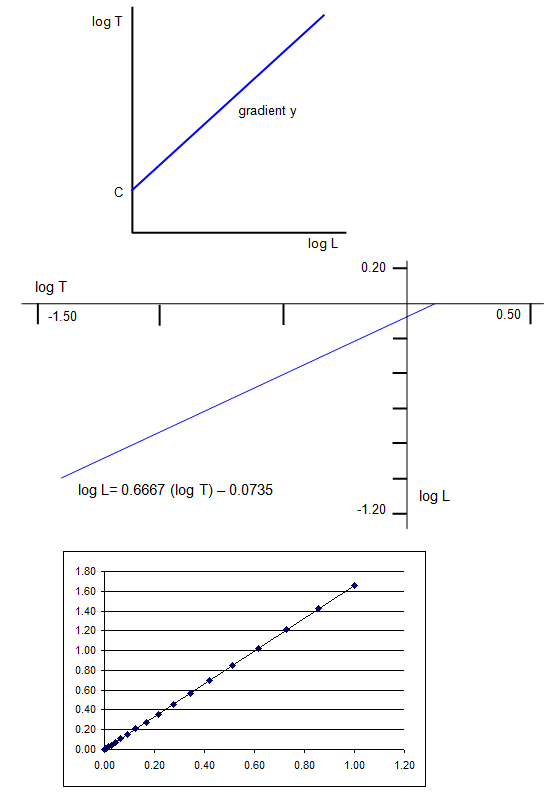 Lets assume that you have done an experiment where you measured the length (L) of the beam, the mass on the end of the beam (M) and the period of oscillation (T). You now want to find an equation that links them but do not know the powers of the three quantities. 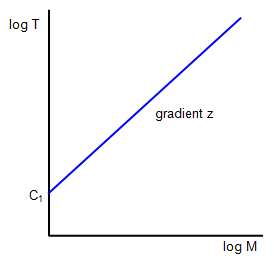 Plotting a graph of log T against log M will give a straight line of gradient z and intercept C1 as shown in the diagram. You now have to determine the value of y.
where C2 is a constant (= log k + z log Mo). a straight line of gradient y and intercept C2 as shown in the diagram.